SHORTLY AFTER PURCHASING the virtual reality company Oculus VR for $2 billion, Facebook had more good news to announce by revealing more than a billion people access the site via mobile every month. During a conference call discussing the company’s recent purchase, the company’s founder Mark Zuckerberg revealed it had passed the one billion monthly active mobile users mark. When Facebook announced its last earnings report in January, it had 945 million monthly active mobile users and has 1.2 billion users overall. Instagram has also seen growth since its purchase back in 2012 with 200 million people now using the service every month. When Facebook purchased the app back in 2012 for $1 billion, it had 30 million users and had only launched its Android app then. In the last six months alone, it saw 50 million new members sign up. Since it was launched in 2010, more than 20 billion photos have been shared on Instagram to date. Facebook has been busy with mobile services after purchasing messaging app WhatsApp for $16 billion as well as launching Facebook Paper, a redesigned version of the Facebook newsfeed that has only been released in the US. Email “Facebook shows no signs of slowing down as it now has one billion mobile users”. 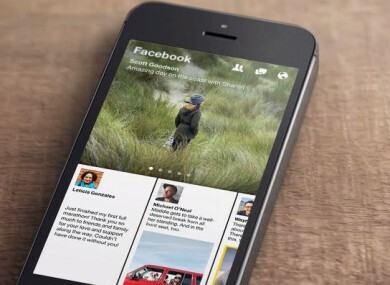 Feedback on “Facebook shows no signs of slowing down as it now has one billion mobile users”.